ThingWorx, a PTC® (Nasdaq: PTC) business and leading Internet of Things (IoT) platform provider, announced today that Smoove, a French developer of bikes and bike share systems, has selected the ThingWorx IoT Platform to power its bike-share service in cities throughout the world. This commitment extends Smoove’s 2009 selection of PTC Creo® and PTC Windchill® for the design and development of its bike components. The announcement of a customer’s selection or adoption of PTC software is not necessarily indicative of the timing or amount of revenue therefrom or of PTC’s overall revenue for any particular period. Smoove markets products and services that facilitate sustainable mobility. 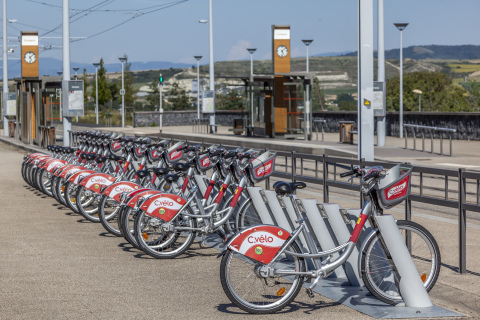 This French company develops bike-share systems, traditional bike systems and soon to be introduced battery operated bicycles, along with complementary products to facilitate rental or parking for private individuals' bikes. For more information, please visit www.smoove-bike.com. ThingWorx™, a PTC (Nasdaq: PTC) business, provides the first platform designed to efficiently build and run the applications of today's connected world. ThingWorx, the centerpiece of PTC’s Internet of Things (IoT) technology portfolio, combines capabilities from PTC Axeda® solutions to deliver the world’s first complete IoT Platform, which includes connectivity, device cloud, business logic, big data, analytics and remote service applications. The combination delivers a comprehensive IoT technology stack that enables companies to securely connect assets, quickly create applications, and innovate new ways to capture value. Companies already leveraging this technology to capitalize on the potential of the IoT represent a wide range of markets, including manufacturing, energy, agriculture, transportation, and government. For more information, please visit our websites at www.thingworx.com, www.axeda.com, and www.PTC.com or follow us on Twitter at @ThingWorx, @Axeda, and @PTC. ThingWorx, Axeda, PTC, Creo and Windchill are trademarks or registered trademarks of PTC Inc. or its subsidiaries in the United States and other countries.